Evaluations are done so that one can measure the performance of efficiency of anything. For new businesses, it is important to do an evaluation so that they can see areas that need improvement and for them to make the necessary changes. 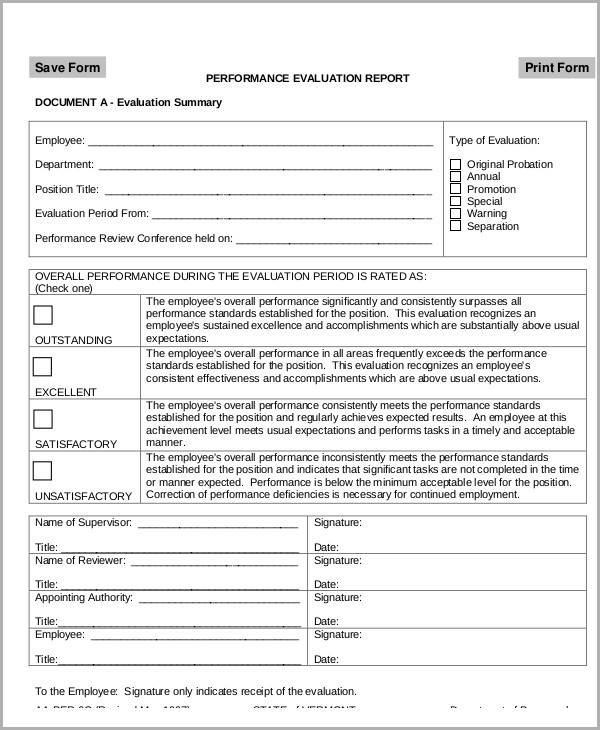 An evaluation report is a formal document that examines all the aspects that make a person, event, etc., effective in getting job done. The data entered in the report should be factual and unbiased as it determines the action that needs to be done based on the conclusion. 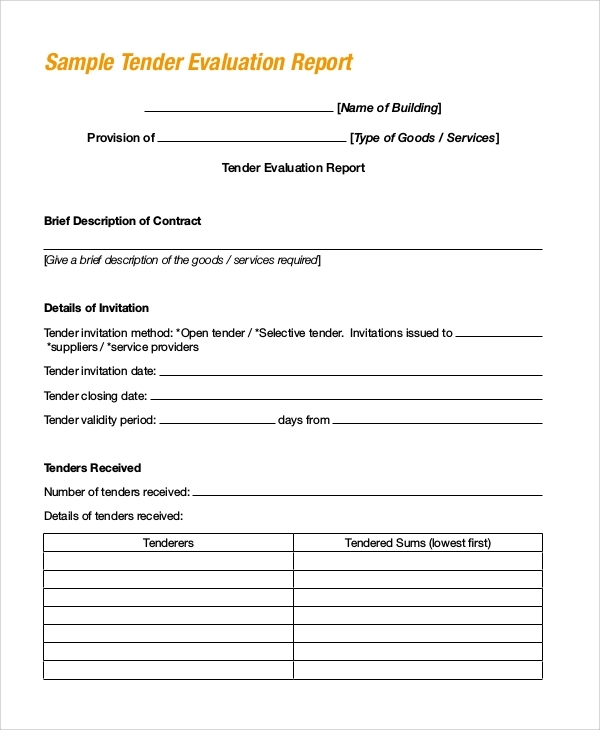 Our Sample Reports effectively captures all the elements that make a good evaluation report. 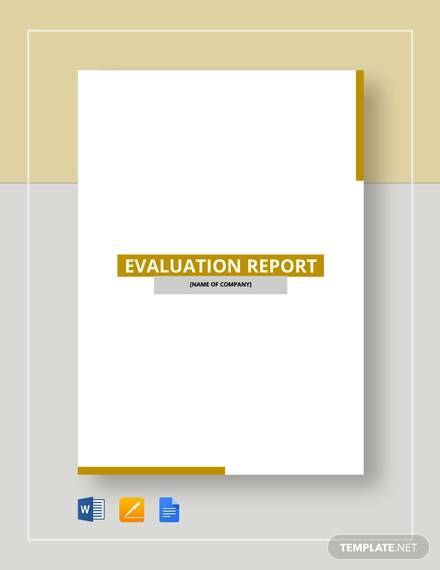 Executive Summary – This part contains a brief summary of the whole evaluation process, from the evaluation questions and the methods used up to the evaluation results. 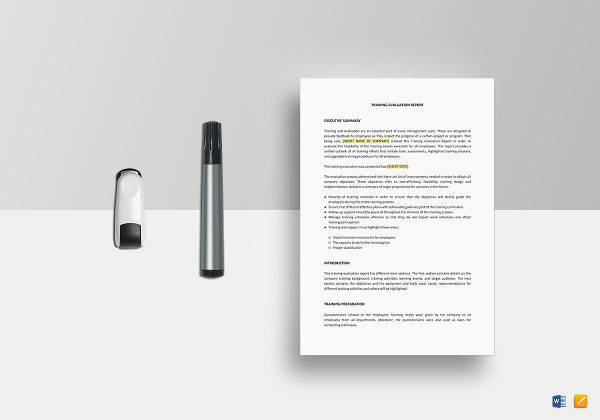 Background – Write in this part the reason why you are doing the evaluation as well as what you are trying to achieve. 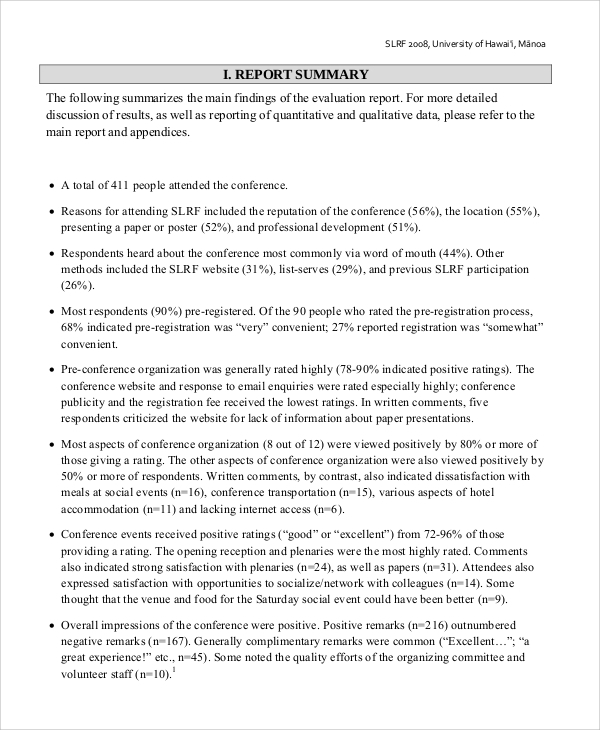 Evaluation Method – Include here how you gathered the data (interviews, survey questionnaires, etc.) and how you analyzed the data. Results – Explain here what you have found out by presenting qualitative data in tables, pie charts, and so on. 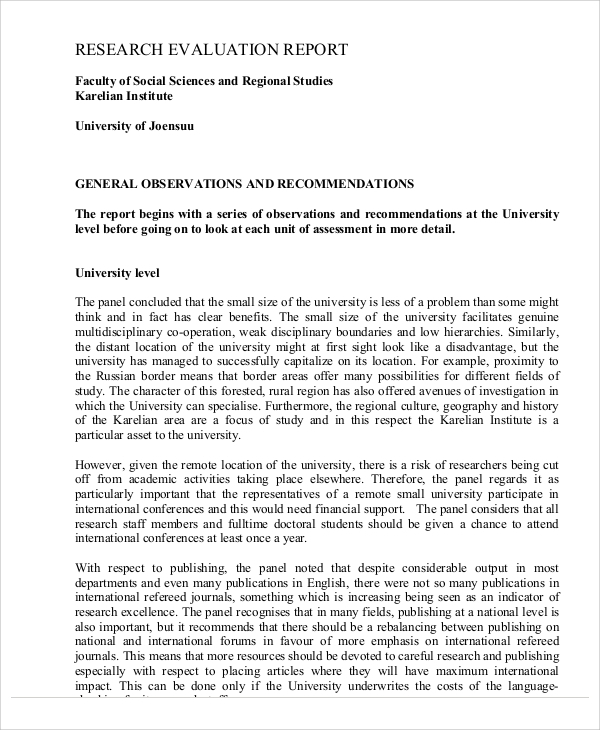 Discussion – This is where you personally interpret the results of the data. 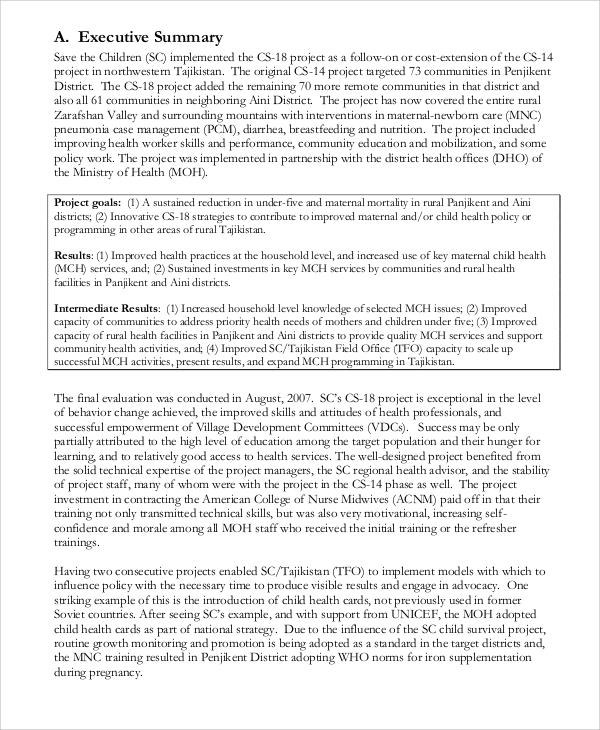 Conclusions and Recommendations – State your evaluation findings and recommend courses of action that could be taken for improvement. 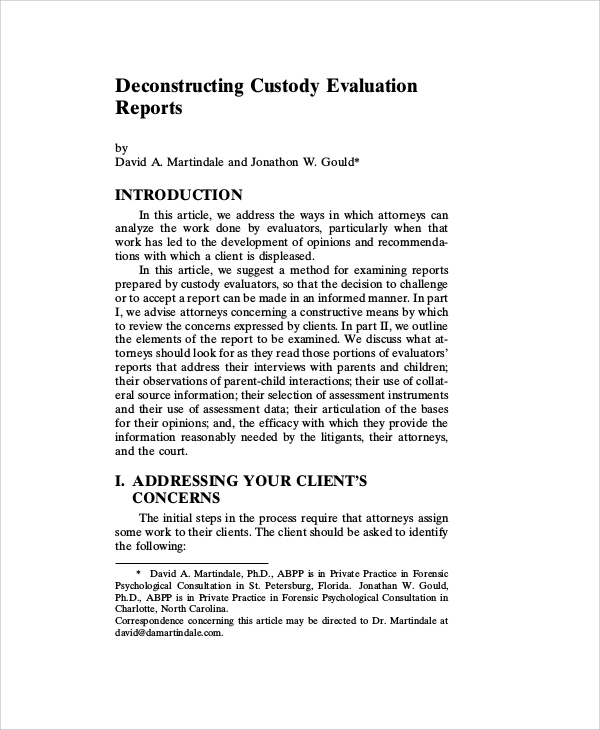 References and Appendix – Make sure to provide citations for reports that you used in the evaluation. 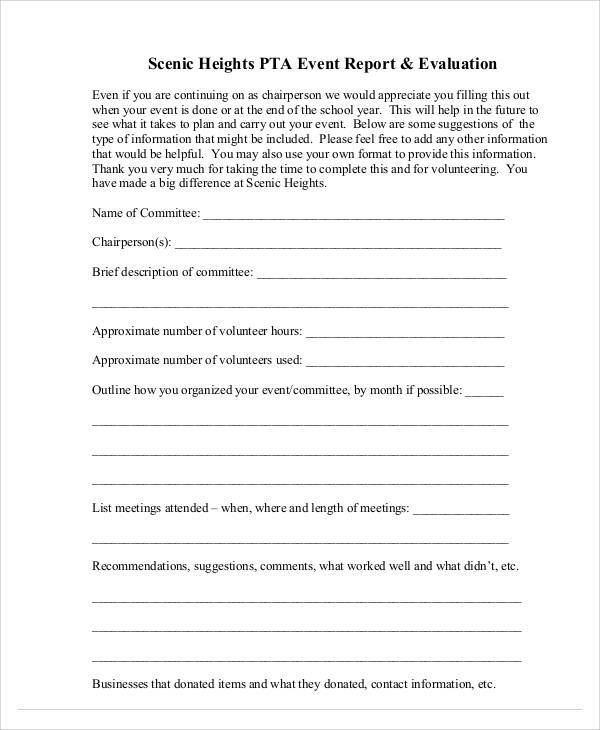 Evaluations are constantly done so by most organizations. They effectively show a picture of how fit a thing or person is in achieving the objectives that are set in place. 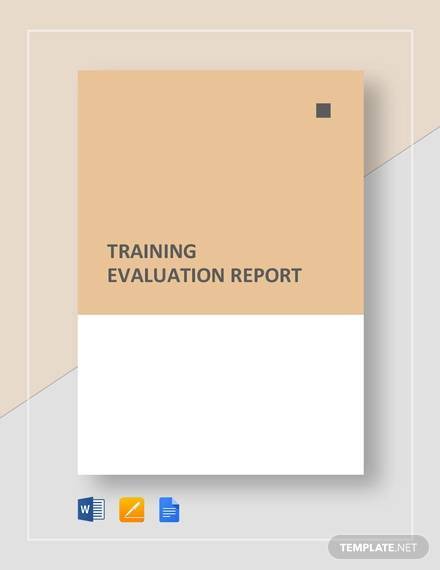 Evaluation reports work just like Risk Assessment Reports and Sample Expense Reports in that they are objective documents that show the real picture as it is. 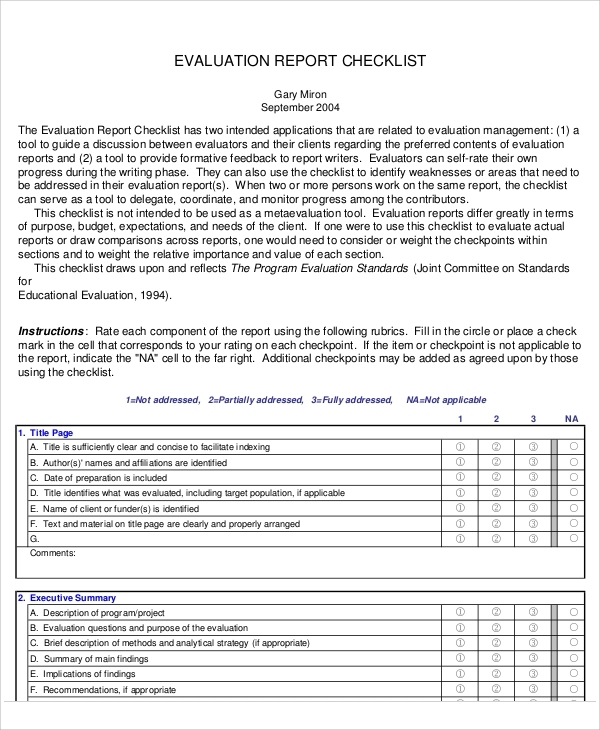 The purpose of doing an evaluation is to make improvements. You can’t make one when the evaluation process is done hastily. It needs careful planning. Here are some things you can do to make them work for you. Make it inclusive. Doing an evaluation for, say, a teacher does not mean you focus on just that person. There are other things that affect his or her performance such as the students, colleagues, parent, etc. Make sure to include them in your evaluation questions. Make it honest and unbiased. Any evaluation would reveal some strengths as well as loopholes in the system or a person. It will be hard to face, but that is reality and something needs to be done with it. Don’t be afraid to copy. Copying is not a bad thing when you have permission from the owner. 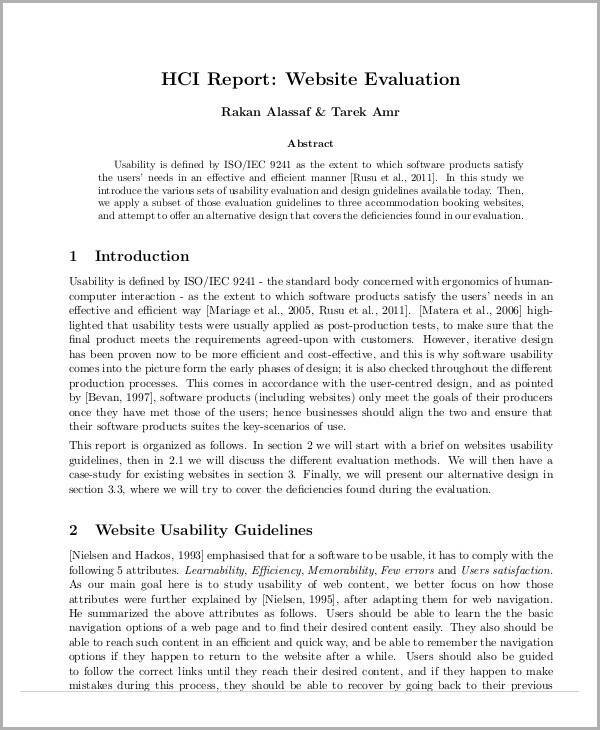 There are evaluation forms online available for you to download that are proven and tested to give accurate results. Copy them, but make sure to add little tweaks to make your evaluation much more effective. Evaluations need to be honest because its results are the basis for your future actions. 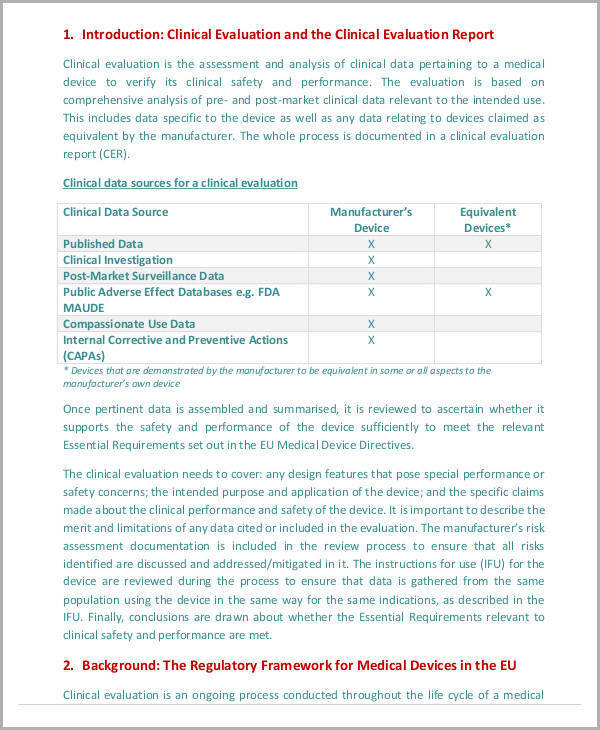 Our sample evaluation reports provide a great guide when you are making one for yourself. 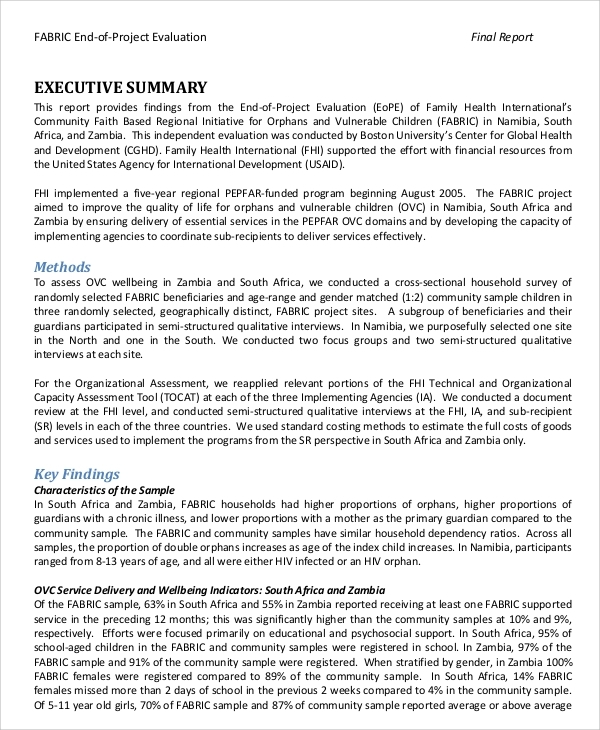 You can also check our Annual Report Samples if you are interested in those as well.